Made just for Jeeps, the PIAA Windshield light Brackets mount right to your Jeep JK windshield bracket. The custom brackets fit right up to the A-Pillars without any drilling, cutting or hassles. 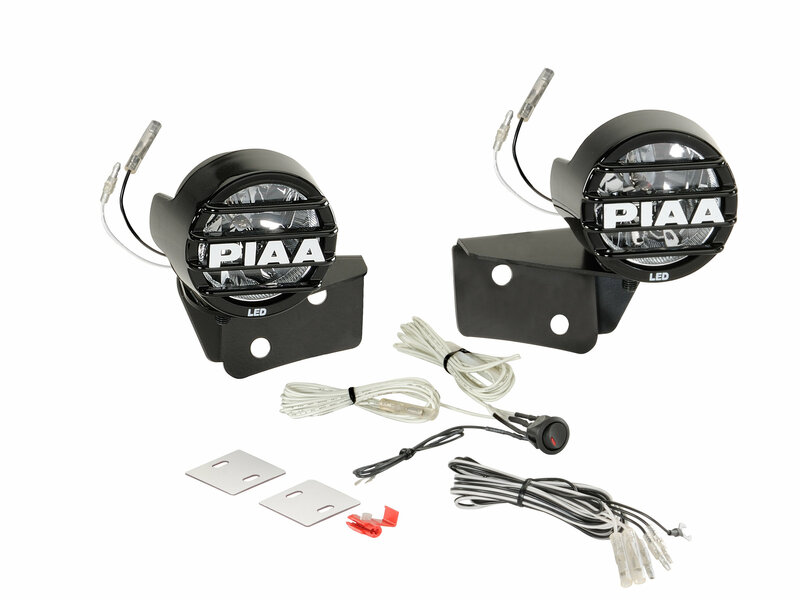 So, within minutes you have a stable platform for your PIAA lights. Plus, the brackets are finished with a rugged black powder coat to deliver miles of stylish stability. The Jeep Wrangler Pillar mount kit utilizes the LED LP530 lamps to give you greater down road visibility. 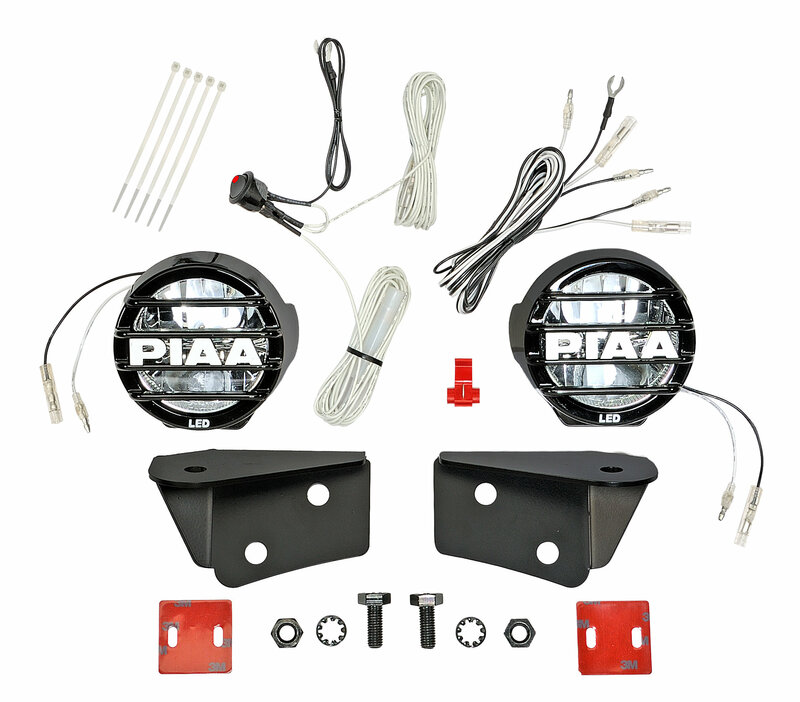 The kit includes two lamps with a pre-wired harness and the brackets necessary to mount.